The focus of OSS is on the status of operation of business transactions. The BSS, on the other hand, focuses on the interface with the actual customer who is the end user of the business services. The purpose of OSS is basically to generate and maintain data regarding the status of facilitates and network provisioning to the customers. At every level of an operating system, there are separate management systems which are customized and configured according to the vendor. All of these distinct systems for different vendors together constitute OSS. The OSS solution also has inbuilt ability to highlight inconsistencies, errors, faults and also helps in identifying its causes. Most OSS billing software has the ability to automatically rectify, once the instructions for rectification are fed. Usually, the technical staff of the company manages OSS and monitors its functioning. The purpose of BSS is to deal directly with the customers and the consequent revenue stream generated through this customer interaction. 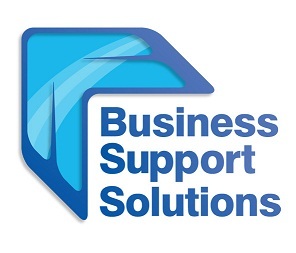 BSS solution helps in customer care, order management, service/product delivery management etc. Being the point-of-contact for customers, BSS is responsible for performing various functions like billing, activation, trouble-shooting etc. It is the one responsible for keeping a track of all the customer issues and ensuring they are resolved. The staff which engages with customers, like a customer care call center, makes use of this BSS solution. As is clear from the above explanation, both OSS and BSS are distinct and they have different roles to play. However, their roles are complementary to each other. If the OSS is updated and well-maintained, then the staff providing BSS services would be able to update the customers also in real-time. The ultimate goal of both OSS and BSS is customer satisfaction and retention. Better alignment and coordination of effort by the back-end staff providing OSS and the front end staff providing BSS is therefore essential. As telecom operators are now taking charge of selling value-added services directly to the customers, there is an emerging need for integrating BSS and OSS solutions. The telecommunications industry today needs efficiency in CRM (Customer Relationship Management). So that the customer care agent should be able to immediately provide information to the calling customer. For instance, it will not be possible to answer a customer who asks about VAS order status if the OSS does not feed data into the BSS. Now one finds that all the vendors providing OSS services are also providing BSS services as well for both postpaid and pre-paid mobile users. The industry has realized that both systems are interdependent and the business needs an amalgamated solution to achieve the business goals. This entry was posted in oss and bss services, Telecom, Telecom Billing Software and tagged OSS and BSS services, oss billing software, OSS BSS solutions by admin. Bookmark the permalink.